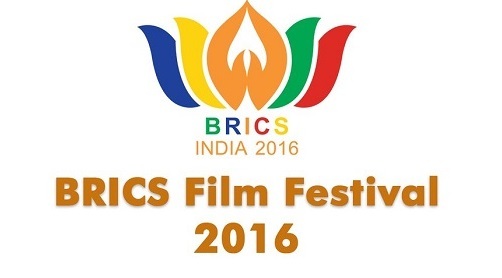 BRICS (Brazil, Russia, India, China and South Africa) India will host the 1st BRICS Film Festival in New Delhi next month in the run up to the BRICS summit which will be held in Goa in October. The film festival will act as a platform for people of the film industry of member countries to explore areas of cooperation in the domain of cinema, culture and cuisine. The idea of organizing BRICS film festival originated at the last BRICS Summit where Prime Minister Narendra Modi proposed a BRICS film festival and film awards. He said, the festival will celebrate the excellence of cinema by rewarding film makers, actors, producers and directors. BRICS Film Festival will be held at the Sirifort Auditorium Complex and 20 films will be screened during the festival. The Opening film for the festival would be the world premiere of the Malayalam movie, Veeram directed by Jayaraj Rajasekharan Nair starring Kunal Kapoor. The Closing film would be the Chinese movie, Skiptrace, starring Jackie Chan directed by Renny Harlin. The festival will also have a competitive section and each member country will nominate four films showcasing creative talent from selected themes. Films will be judged by an eminent jury comprising one noted film maker of each member country. The jury will give their recommendation for an award, which will include a BRICS Gold Medal and certificate of excellence under several categories.